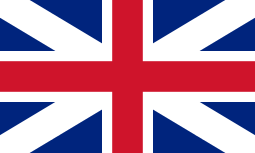 Events from the year 1755 in Great Britain. 20 February - General Edward Braddock lands in Virginia to take command of the British forces against the French in North America. 9 July - French and Indian War: Braddock Expedition - British troops and colonial militiamen are ambushed and suffer a devastating defeat inflicted by French and Indian forces. During the battle, British General Edward Braddock is mortally wounded. Colonel George Washington survives. 20 November - William Pitt the Elder is dismissed from the position of Paymaster of the Forces while Henry Bilson Legge resigns as Chancellor of the Exchequer and George Grenville as Treasurer of the Navy in protest over payments made to Russia to protect Hanover. 2 December - The second Eddystone Lighthouse is destroyed by fire. Joseph Black discovers carbon dioxide and magnesium. The Wolsey hosiery business is established in Leicester by Henry Wood; it will still be trading in the 21st century. Building of St Ninian's Church, Tynet, Scotland, the country's oldest surviving post-Reformation Roman Catholic clandestine church. 15 April - Samuel Johnson's A Dictionary of the English Language; Johnson had begun the work in 1746. ↑ "The Battle of the Monongahela". World Digital Library. 1755. Retrieved 2013-08-03. ↑ Williams, Hywel (2005). Cassell's Chronology of World History. London: Weidenfeld & Nicolson. pp. 317–318. ISBN 0-304-35730-8. ↑ "Our History". Wolsey. Retrieved 2012-06-06. ↑ "Tynet, St Ninian's Church". ScotlandsPlaces. Royal Commission on the Ancient and Historical Monuments of Scotland. Retrieved 2015-01-05. ↑ "Icons, a portrait of England 1750-1800". Archived from the original on 17 August 2007. Retrieved 2007-08-24.